Even before hitting the screens, the rebels of Sonchiriya are garnering accolades from the critics and film fraternity. At a special screening held for the cast and crew and friends from the film industry, several Bollywood celebrities witnessed the picture painted by Abhishek Chaubey set in 1975's Chambal. Treating the audience with power packed action, along with intriguing storyline and remarkable performances by the ensemble cast, Sonchiriya has been receiving appreciation even before its release. 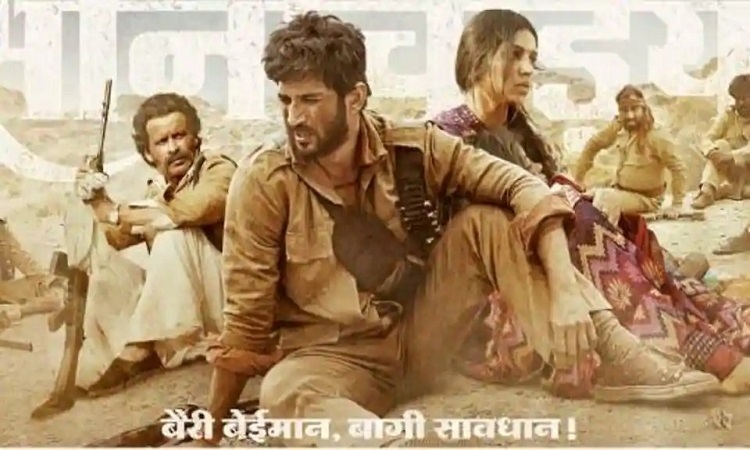 Touting the characters and cinematic experience of Sonchiriya as brilliant, Bollywood celebrities poured their heart out showering their praises on the film. Just saw #Sonchiriya, Blown away by the performances @BajpayeeManoj @ranaashutosh10 @itsSSR And proud of you my friend @bhumipednekar. Congratulations @RonnieScrewvala #AbhishekChaubey"
I think the world needs to give @RanvirShorey his real due as an actor. How he shines in # Sonchiriya. I cannot get over his performance. It is so fine, so dynamic, so nuanced, so fun. Congratulations! You are BRILLIANT. Team @RSVPMovies pulls out another charm from its bag of ace productions #Sonchiriya March 1st in Cinemas GO WATCH. Words fail to describe your presence, your craft, the stay and grit you've pulled off @bhumipednekar my heart sank right at the bottom of #Sonchiriya BiG Love Mama! "It requires immense guts and vision to do a film like #Sonchiriya. Well done on your choice and performance, @bhumipednekar! May your tribe increase!" Director Abhishek Chaubey is all set to present the audience with an action-packed and gripping tale of the dacoits of the Chambal region with his next, 'Sonchiriya', starring Sushant Singh Rajput, Bhumi Pednekar, Manoj Bajpayee, Ranvir Shorey, and Ashutosh Rana in pivotal roles. Set in the 1970s, the film will trace the journey of the famous dacoits of the harsh valleys of Madhya Pradesh, where dacoit gangs were at loggerheads with the local police. Directed by Abhishek Chaubey who has earlier presented 'Udta Punjab' and 'Ishiqiya', 'Sonchiriya' presents a rooted tale set in Chambal. Produced by Ronnie Screwvala's RSVP, The movie releases on 1st March 2019.